The Peoples Democratic Party, PDP, on Wednesday rubbished claims by President Muhammadu Buhari that his government performed better than the administration of his predecessor, Goodluck Jonathan. PDP insisted that the “ridiculous” performance claim by the incumbent president has exposed him as the “author of series of false performance indices and propaganda in the public place”. Buhari had on Monday in Jigawa stated that the current state of the Nigerian economy was better when compared with what obtained during the Jonathan era. 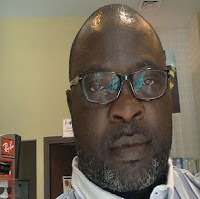 Reacting to the remark, PDP, in a statement issued by its spokesperson, Kola Ologbondiyan, called on the President should apologize for his purported abysmal performance. The former ruling party also noted that Nigeria has recorded job loses due to Buhari’s “consistent global de-marketing” of the country. The statement reads, “President Muhammadu Buhari has exhibited the highest form of illusion by claiming that his administration has performed better in governance than previous PDP administrations. “This ridiculous claim, which is completely irreconcilable with the harrowing economic and security realities, has exposed President Buhari as the author of series of false performance indices and propaganda in the public place, designed to beguile Nigerians ahead of 2019 elections. “President Buhari has forgotten that despite the temporary setback of the PDP in the 2015 elections, Nigerians are still aware that during the PDP administration, with our people-oriented policies, our nation was a better place to live. “Nigerians easily recall that during the PDP tenure, the standard of living and purchasing power of citizens were at their peaks; the private sector flourished; more businesses opened and blossomed thereby providing millions of jobs and Nigerians were more united and secure. “Painfully, in the space of three years, the Buhari Presidency has reversed all these gains! “It is also instructive to remind Mr. President that he inherited a robust economy, which was nurtured by the PDP to become the biggest in Africa and one of the fastest growing in the world, unfortunately, he has dragged us into the worst form of recession, starvation and hunger with his harsh and restrictive economic policies. “PDP also invites President Buhari to remember that his consistent global de-marketing of our nation led to the flight of Foreign Direct Investments, job losses and the tumbling of our naira from N165/1USD where the PDP left it in 2015 to N360 to 1USD under his watch.